Today the staff, children and parents gathered at the school to recognise and celebrate the Diamond Jubilee of Her Majesty Queen Elizabeth. 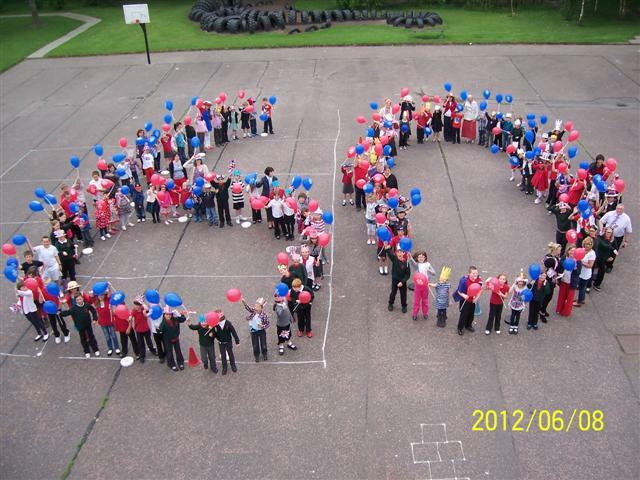 At the start of the afternoon the children and staff created a large number 60 in the playground. Click here to see the Jubilee Art Exhibition pictures in the Gallery. Then we had a wonderful Diamond Jubilee party in the Hall.